When you're ready to list your home, you conduct a thorough inspection and fix any problem areas. You make your house look shiny and new by replacing broken items, upgrading light fixtures, floors, cabinets and window treatments, cleaning every inch and staging your home perfectly for your open houses. But aside from listing the typical selling points like square footage, the number of bedrooms and bathrooms, landscaping features and proximity to excellent schools, you can also list extra features to potentially boost the price. When you move into your new abode, you're not going to be taking your window treatments with you. But while you're in your current home, it's worth setting aside a few hundred dollars to replace the blinds, shutters and curtains. For a truly modern, convenient touch, install motorized shades that can be opened and closed with the touch of a button. When you're selling your home, you can include these updated window treatments in your price. Appliances can be tough to move, especially if they're built into your kitchen or laundry room. Instead of planning to take them with you, include them in the price of your home. 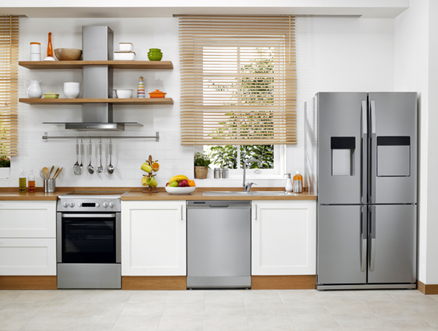 A word of caution: Be sure the appliances match, are (relatively) new and look immaculate. If you're in a pricey neighborhood, buyers want move-in ready homes stocked with higher-end appliances. Spring for expensive brands, and you may be able to get more money for your home when you sell. Some buyers are looking for a truly turnkey home that's completely furnished, especially in fast-moving cities like Los Angeles. The furniture they see staged at your open house will help them achieve that, and they'll likely be willing to pay extra for it. By selling your furniture and decor with your house, you may be able to mark up your home listing by 30 percent. Light fixtures are usually customized for a space, so it's better to leave them in your house. To successfully sell them with your home, go for modern fixtures that keep the space well lit. Avoid harsh fluorescent lights and choose LED bulbs instead, which can make a room look brighter while saving energy and heat at the same time. You can put in accent lighting to show off your home's focal points. Add vanity lighting to the bathrooms and install path lighting along your outdoor areas for more light. Many potential buyers have kids or plan on having kids, especially if they're first-time homebuyers. Even if your own kids have outgrown the swing sets and play areas, consider keeping them in the yard. They have the potential to increase the price of your home and make it a more attractive option for your buyers. Before you put your house on the market, be sure to consider these five aspects of your home. You may be able to boost the sale price by looking at these different features and leveraging them to your benefit. Adapted from a blog by Abigail Sawyer on RISMedia’s Housecall.